Stylish casual shirtFeaturesFabric: - 50% cotton- 50% viscoseColor: - black with palm tree printCutt.. 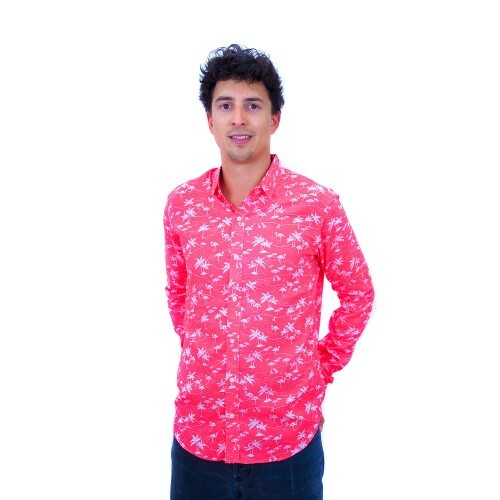 Stylish casual shirtFeaturesFabric: - 100% cottonColor: -turquois with seahorse printCutting: - body..
FeaturesFabric: - 100% cottonColor: - miami pink with flamingo motivesCutting: - casual button shirt.. Stylish casual shirtFeaturesFabric: - 100% cottonColor: - dark rockCutting: - body fit..